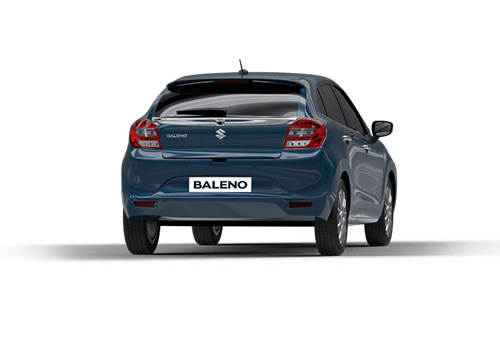 April 23, 2019: With the government getting strict regarding the implementation of BS VI norms, country’s leading car manufacturing company Maruti Suzuki India Limited has launched BS VI compliant version of its best selling hatchback Baleno in the Indian car market. The new Baleno is offered with the starting price of Rs. 5.58 lakh and is empowered with the set of new 1.2 litre DUALJET and 1.2 litre DUAL VVT petrol engines. 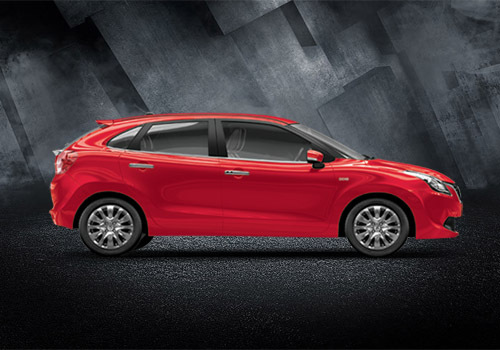 MSIL Launches The Generation Next Baleno, Priced Rs. 5.45 Lakh. 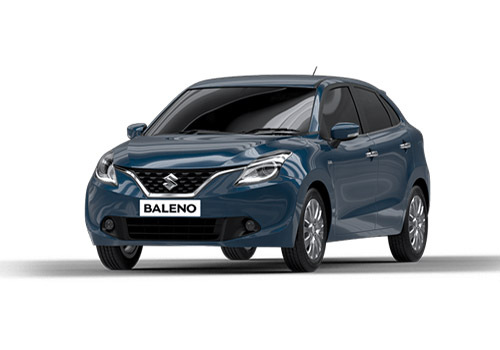 January 29, 2019: Country’s leading car maker Maruti Suzuki India Limited has launched the Baleno 2019 in the Indian car market with the starting price of Rs. 5.45 lakh for the petrol variant and Rs. 6.60 lakh (both the prices are ex-showroom prices). 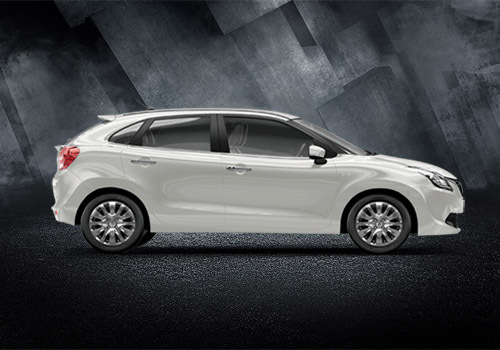 Continuing the existing engines in both the petrol and diesel variants, the facelift Baleno receives cosmetic updates on both the exterior and interior front. 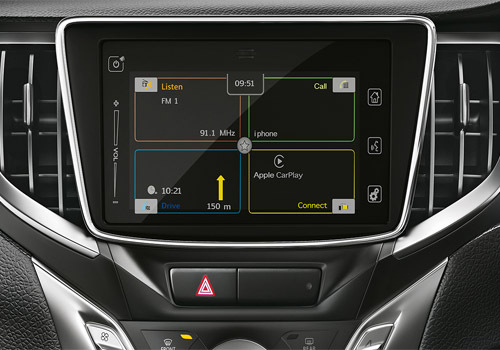 The list of standard features include ABS+EBD, rear parking sensors, speed alert, ISOFIX child restraint system, seat belt reminder and dual front airbags. January 28, 2019: The next generation of Baleno hatchback is slated for launch in the coming weeks, but interestingly, the features that would be offered in the facelift, have been leaked online. According to reports, the changes would be subtle and restricted to cosmetic updates offered in different trims.The engine configuration will be continued with the existing engines in both the petrol and diesel variants. 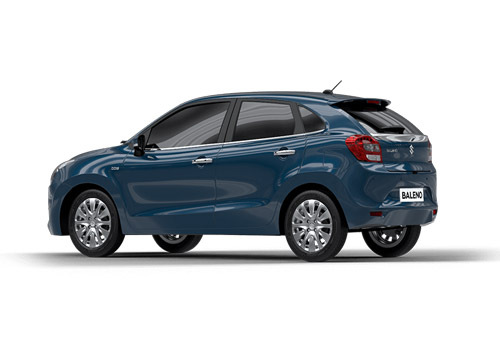 January 16, 2019: Country’s leading car maker Maruti Suzuki India Limited is all set to launch the generation next Baleno hatchback in the Indian car market at the end of this month. Continuing the existing engine configurations in both the petrol and diesel variants, the new Baleno will undergo the bunch of cosmetic updates including safety features strictly according to Bharat NCAP norms. December 29, 2016: Country’s leading car maker MSIL has upgraded Baleno hatchback with ISOFIX seat mounts as standard safety feature across its all variants. 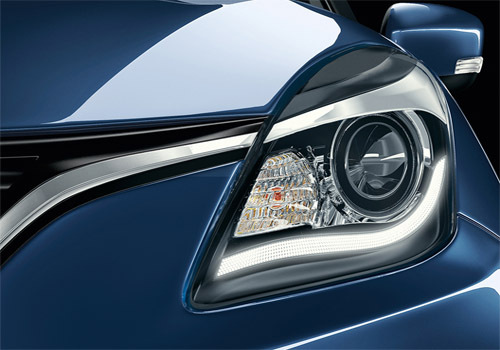 With this Baleno becomes the second hatchback by Indo-Japanese carmakers to be equipped with this feature after premium sedan Ciaz. 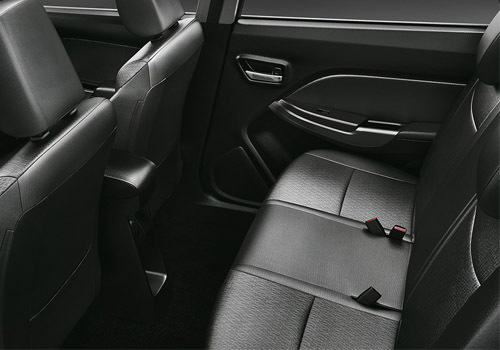 List of other standard safety features include headlamp leveling, dual front air bags, front disc brake, anti-lock braking system with EBD, driver seat belt reminder and pretensionar and force limited for front seat belts. July 6, 2016: It is reported that spies have caught the upgraded version of Maruti Baleno being tested on Mumbai roads. The new version of Baleno will be named as RS Baleno and will be empowered with 1.0 litre boosterjet three cylinder petrol engine which will churn the power of 110 hp and torque of 170Nm. It will be mated with five speed manual gearbox and is claimed to be fuel efficient than compared to existing version of petrol variant offered in Baleno. 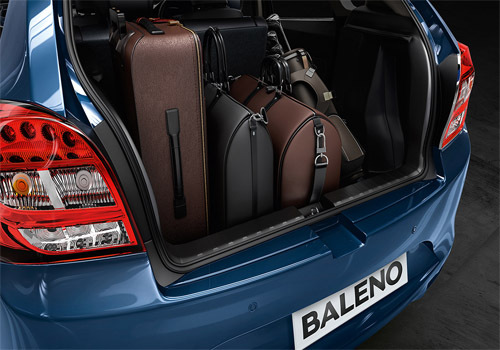 June 22, 2016: According to recent reports going through the excessive demand of hatchback Baleno, country’s leading car manufacturer MSIL is going to boost its production to minimize the duration of waiting period which has now extended to six months. 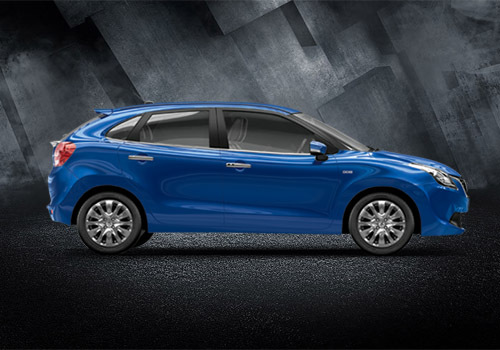 At present company is manufacturing 12,000 units of Baleno every month and has more than 45,000 bookings yet to clear. 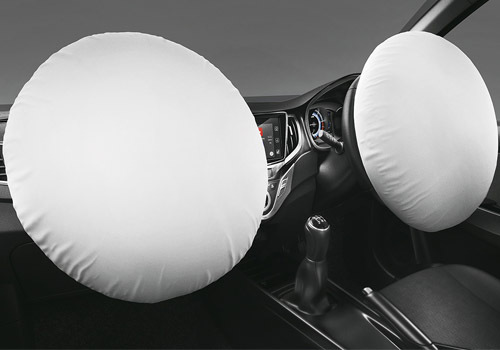 May 27, 2016: Leading car manufacturer MSIL is going to recall 75,419 units Baleno hatchback to upgrade the airbag controller software. The units affected were manufactured between August 3, 2015 and May 17, 2016. According to sources of company the affected units will be inspected and if found necessary will be upgraded by company free of cost. The company has also shared the information regarding the affected units on the Nexa website of Baleno from where the buyers of these units can check their car by mentioning chassis number (MA3 along with 14 digits alpha-numeric code). 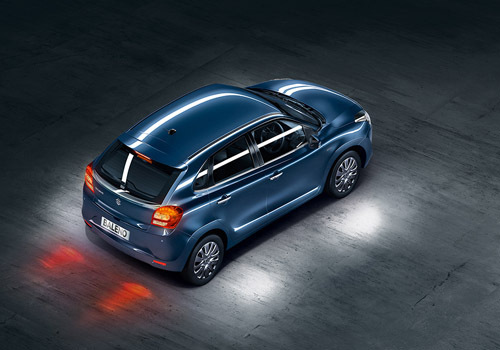 April 21, 2016: Launched last year the first ever hatchback Baleno made in India by Maruti Suzuki India Limited has scored three star ratings in Euro NCAP test concluded recently. The unit tested was India bound unit and top end variant of Baleno. Interestingly the global variant of same hatchback succeeded in scoring four star ratings in same test. 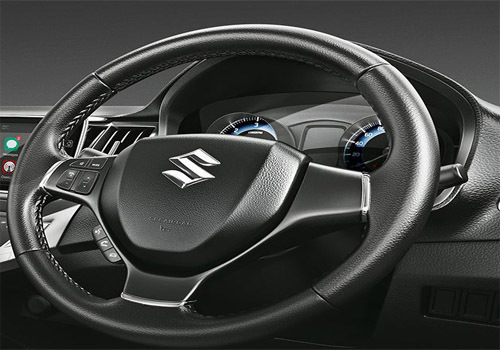 April 7, 2016: According to reports MSIL has upgraded the Baleno hatchback with CVT transmission system which earlier was offered only in Delta variant. The price of Zeta with CVT system has been priced around Rs. 7.47 lakh (ex-showroom price, New Delhi). As reported earlier Baleno is first hatchback that has been completely developed in India by Indo-Japanese car makers and is being exported to Japan and other 100 countries from India. March 29, 2016: After successful launch of India made Baleno hatchback in Indian car market, Indo-Japanese car makers have started exporting to various European car market. Now according to latest industry reports broadening its area of sales MSIL is going to export the hatchback to Nepalese and New Land car market. In Nepal the hatchback is reported to be launched by the end of April this year and later in New Zealand car market. The petrol and diesel variants of Baleno that would be exported to International market would be energized with 1.0 litre petrol boosterjet engine whereas diesel variant will be empowered with 1.2 litre Dualjet diesel engine. 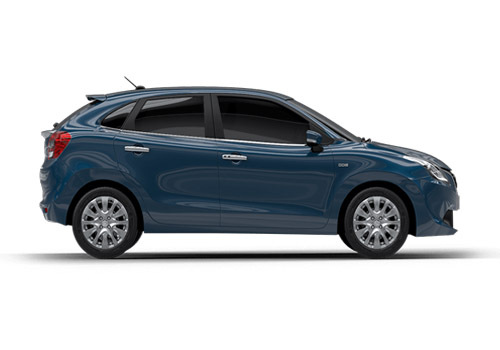 March 9, 2016: Maruti Suzuki Baleno the hatchback from leading car maker MSIL has achieved a milestone of getting more than 1 lakh units within the short span of six months after its launch in October 2015. Offered in both petrol and diesel variants of 1.2 litre K-series petrol and 1.3 litre DDiS diesel engines respectively the hatchback has succeeded in receiving an encouraging response from Indian buyers and now is reported to be exported in more than 100 countries. 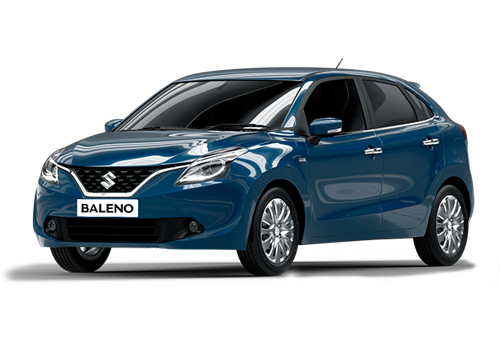 February 29, 2016: After successful launch of premium hatchback Baleno in Indian car market, Indo-Japanese car maker MSIL has started the export of India made hatchback to European car market. The hatchback will be soon showcased by Suzuki Motor Corporation during Geneva Motors Show to be held from March 3, 2106 to March 13, 2016. 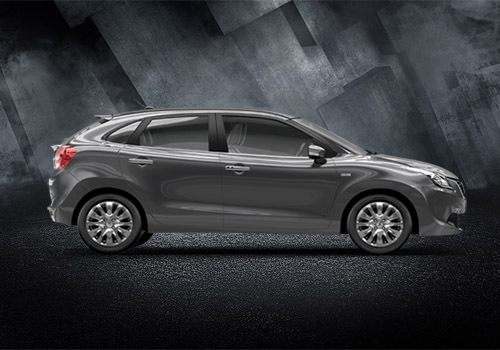 The Baleno hatchback has been received happily by Indian car enthusiasts. February 2, 2016: According to recent reports launched in month of October last year the Baleno hatchback from MSIL has succeeded in receiving an over whelming response from Indian buyers. 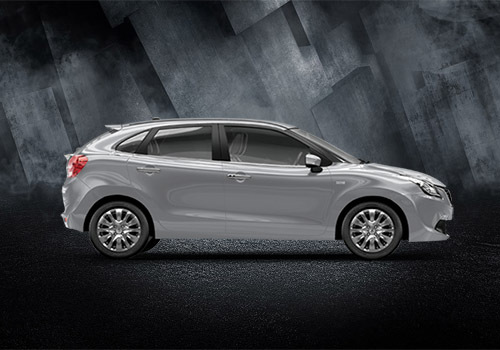 It is reported that the top end variant Alpha of hatchback has succeeded in impressing buyers across the country, with 50% of buyers booking Baleno hatchback prefer to buy the top end variant in both petrol and diesel trims which are enriched with fleet of awesome features. 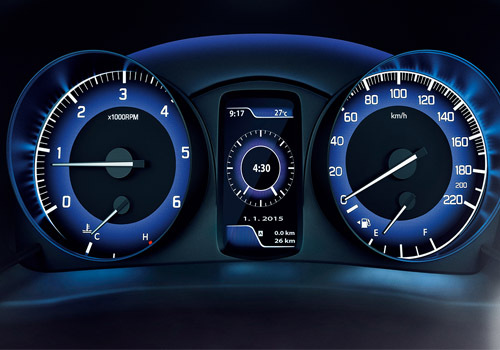 January 12, 2016: According to recent reports the Maruti Suzuki Baleno hatchback by Indo-Japanese car launched few months back in Indian car market is going to be upgraded with one more engine option of 1.4 litre in petrol version. 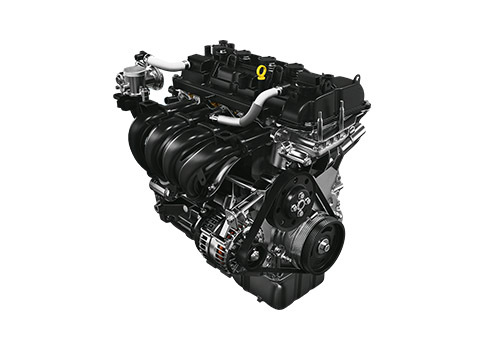 This engine configuration will however be launched in South African car market along with diesel engine which will be empowered with 1.3 litre DDiS diesel engine that is adorned in diesel version of Baleno in Indian car market. December 1, 2015: According to recent reports after successful launch of Baleno hatchback in Indian car market at competitive price in both petrol and diesel variants, country’s leading car maker MSIL is going to introduce one more powerful engine configuration in its diesel line-up. The proposed diesel would be similar to diesel engine offered in Ciaz generating the power of 89 bhp and embellished with SHVS technology. It is expected to be introduced sometimes during the beginning of 2016. 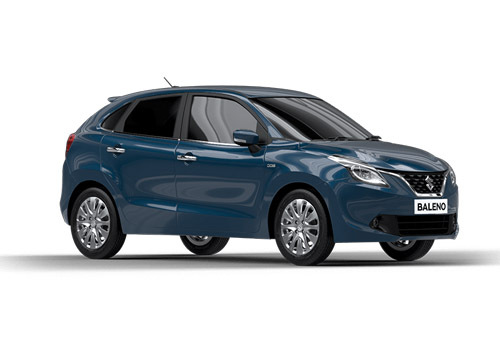 November 17, 2015: Maruti Suzuki Baleno hatchback which was launched almost a month ago has succeeded in receiving more than 21000 bookings during the first month of its launch and it is expected that this number will go high in coming weeks. This was also confirmed by Mr. RS Kalsi, Executive Director, Sales and Marketing, MSIL saying "We have witnessed over 56,000 footfalls for Baleno in the last 10 days and have already received 21,000 bookings for the premium hatchback." Offered in both petrol and diesel variants empowered with 1.2 litre VVT and 1.3 litre DDis engines respectively, the hatchback is equipped with bunch of various awesome features that makes it premium hatchback in its segment. 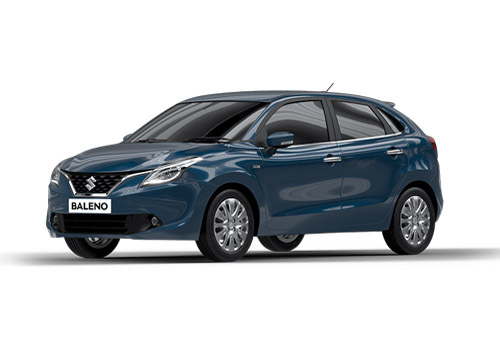 October 29, 2015: It is reported that recently launched Maruti Suzuki Baleno has received almost 4600 bookings during the first two days after its launch. According to reports company recorded around 600 units booked on the very first day at company’s Nexa’s outlets. 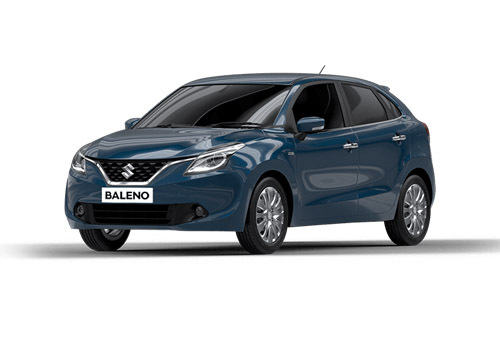 It would be interested to know that Baleno is the first product by Indo-Japanese car makers that is being produced in India and not in Japan. The hatchback will not only be produced in India but will also exported to other countries from India along with Japanese car market. 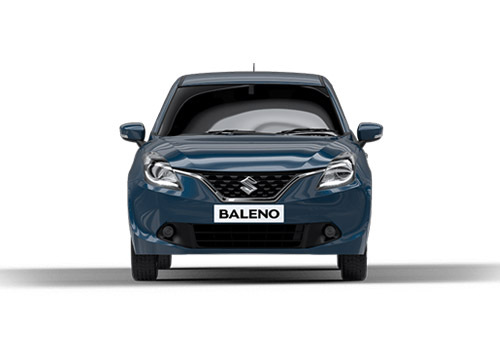 October 26, 2015: Maruti Suzuki India Limited today globally launched the highly awaited hatchback Baleno in Indian car market with starting price of Rs. 4.99 lakh (ex-showroom price). The hatchback has been offered in both petrol and diesel variants with petrol variant empowered by 1.2 litre K12 engine churning the power of 83 bhp, while the diesel variant is offered with 1.3 DDiS diesel engine boosting the power of 73 bhp. 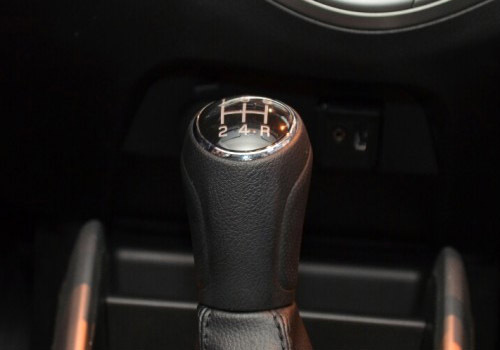 Both the variants are mated with five speed manual gearbox transmission system followed by CVT transmission system in top end trim of petrol variant. October 8, 2015: Scheduled for launch on October 26, 2015, Maruti Suzuki Baleno was caught being tested on Pune roads without any covers. The orange color car identifications were secured with the tapes and wheels were seen without the wheel cap and parking sensors were featured at the rear. The new hatchback will be available in the seven colors in both diesel and petrol trims with 5 speed manual gearbox. 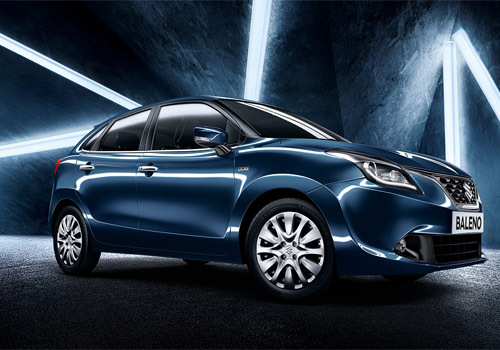 October 6, 2015:Maruti Suzuki Baleno hatchback is all set to make its debut in Indian car market on October 26, 2015. The bookings of hatchback have been commenced by car maker and deliveries of expected to begin by the end of this month immediately after its launch. The hatchback would be offered in both petrol and diesel trims which would be further divided in four trims namely Sigma, Delta, Zeta and Alpha. 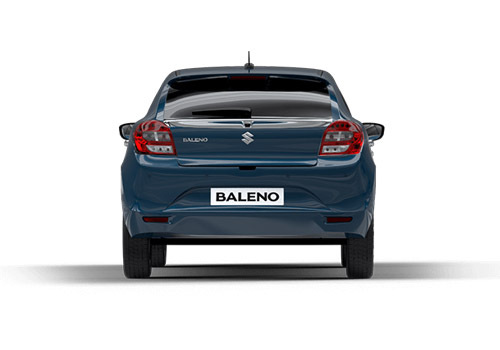 October 2, 2015: With an objective to regain the position of its almost forgotten brand Baleno from Indian car market, country’s leading car manufacturing company MSIL is now going re-launch the brand in form of hatchback. To be named Maruti Suzuki Baleno the hatchback is all set to make its debut in Indian car market on October 26, 2015. It would be offered in both petrol and diesel trims with petrol trim energized with 1.2 litre VVT petrol engine boosting the power of 83 bhp and torque of 115 Nm, followed by diesel version energized with 1.3 litre DDiS200 engine generating the power of 90 bhp and torque of 200 Nm torque. The diesel variant is reported to be energized with SHVS system making it a hybrid car. The SHVS is reported to deliver fuel efficient performance of 28.09 kmpl.